- Eye Saver Mode: Unlike other colours emitted from screens, blue light wavelengths have a more stimulating effect on the retina, causing eye fatigue. Eye Saver Mode optimizes your viewing comfort by smartly reducing blue light emissions at the touch of a button. The ability to access multimedia content on workplace devices is becoming increasingly important. 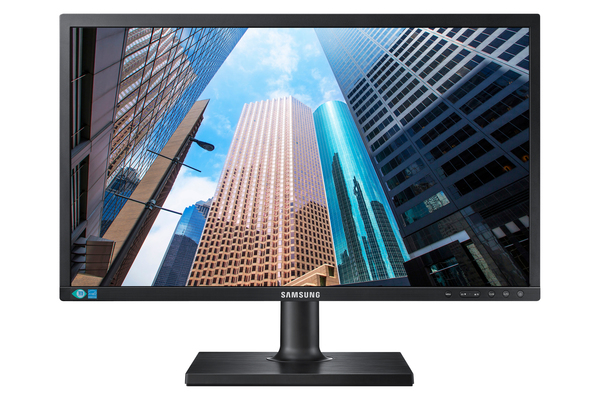 The Samsung SE450 can be fitted with an optional USB soundbar, which attaches to the back of the monitor to provide the same benefit as a built-in speaker. This delivers quality sound (2.5 W), while saving space and keeping your workspace organised.